In this new dark world, responsibility for others is a heavy burden. Megan Wolford is used to handling her own problems, so being part of a makeshift family, and all the responsibilities that come with it, is a new experience. She’ll do anything to help protect her newfound love Wyatt and the lodge group, but sometimes events are out of her control. 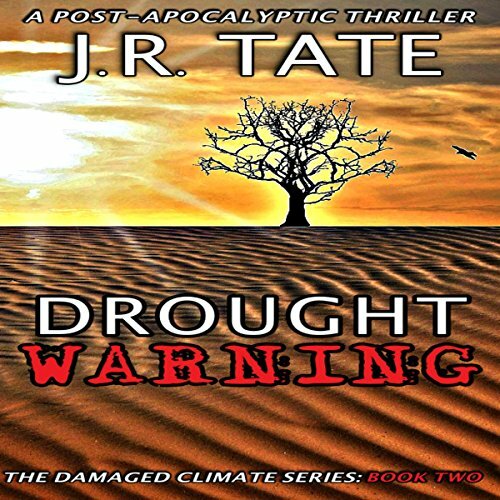 In 2035, the southwestern United States is ravaged by drought, reeling from an environmental catastrophe that has left the landscape a chaotic, depleted ruin. California, still viably inhabitable due to its oppressive social controls, marshals state-of-the-art surveillance technology and totalitarian policies to preserve its fragile hold on rapidly dwindling resources and an increasingly unsettled population. Ryan Gibson has been reunited with his wife and son. Those lucky enough to have survived the tornadoes have made an old church cellar into a temporary refuge. The storms have tapered off, the temperatures are climbing, and the shift in the weather pattern is cause for concern. Everyone is wondering what Mother Nature has in store for them next. The unpredictable climate has everyone looking to the sky, all fearing that if they step away from the safe haven they have created, it will be an automatic death sentence. Their ultimate goal is to rebuild Harper Springs, but Ryan wonders how they are going to achieve their plans - with no precipitation falling and record-breaking heat, his worries are focused on the dwindling water supply and opportunity to grow crops. The surplus of non-perishable foods won't last forever, pushing a sense of urgency to get the rebuilding going. With Cecilia's parents still missing, Ryan sets off on a mission to get all of the family back together for good. Leaving Steve back in Harper Springs, he feels confident his new friend will take care of business as he and his father head toward Fox Lake. 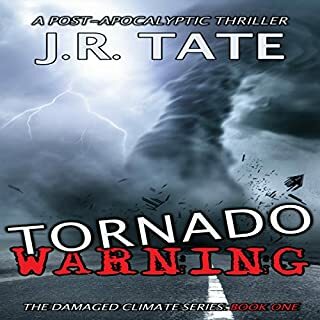 They learn that tornadoes aren't the worst thing they can encounter - blazing wildfires, massive dirt walls, and dangerous thieves and looters threaten their survival. 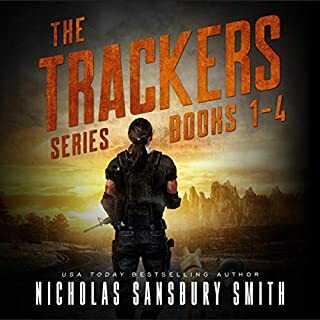 They get their first real look at how widespread the turmoil is, revealing a post-apocalyptic wasteland they may never be able to come back from. Honestly, I’m going to re-use some of my last reviews, because it fits for this book too. 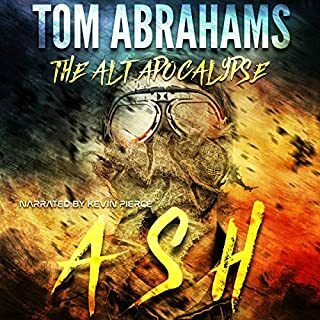 First and foremost — this is a post-apocalyptic book. Not the zombie apocalypse or an EMP strike. But mother nature unleashing her fury and leveling part of the earth. It’s not as much about the weather as it is about the survival of one family. 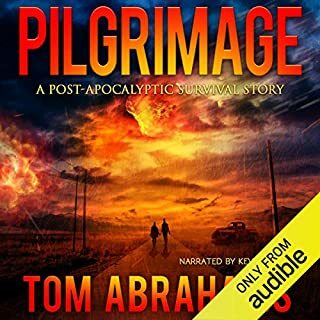 This book especially, because the Tornadoes have passed and they are now left with the destruction of everything and the potential to rebuild. But the sun is beating down on them and zapping all the water they have left. Tom Kruse’s narration was a little rough. He definitely over-acted the entire book and it made parts of it hard to listen to. A tip that some/most audiobook reviewers won’t give you — speed the book up a little. Sometimes small things that bother me at normal speed go away at faster speeds. That was the case with Tornado Warning. Kruse’s voice definitely became less of an annoyance and more of a narration at faster speeds. I wrote that for the last book and for this book it was exactly the same. Kruse did a good job but definitely overacted some of it. There were scenes that could have used this dramatization, but most of them were just a normal scene that Kruse decided to add a lot of drama. The biggest issue that I had with this book was HOW THE HECK DID THEY STAY COOL? I know the temps were supposedly around 120 degrees during the day and that they were in a basement, but I promise you I used to live in a basement of a house without AC and it never got to 120 outside, but it was not “comfortably cool” all summer down there. 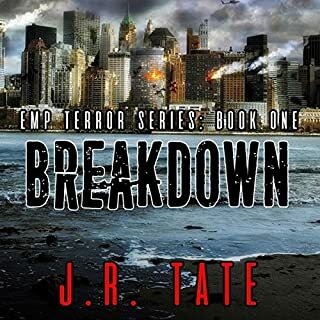 I think that Tate should have covered the issue of heat, heat exhaustion, heat stroke, and dehydration (even inside) and that would have bumped my rating on this book up a bit. Overall, an okay story with an okay narration. I noticed that there was a third book in the series and I believe it deals with winter — I’m intrigued but I feel like I should remember: “fool me once, shame on you. Fool me twice, shame on me.